 The Touring Hybrid stands for smart sophisticated and top-equipped touring e-bike performance. It makes a top figure both on commuter bikes and as a leisure bike on extended rides in nature - because it is hard to beat in terms of functionality! The integrated luggage rack is light, stiff and super versatile. The complete equipment - from fenders to lighting system to the side stand - ensures that it is ready for use at any time. The wide 47 mm tires offer great comfort, reliable grip and safety in all weather conditions. And the reliable component package includes a Suntour suspension fork, powerful hydraulic disc brakes for safe, weather-independent speed control, and a smooth Shimano Deore 9-speed gearshift that lets you easily conquer any climb.